During my recent trip to Washington, DC, many veterans were in town for the 70th anniversary of D-Day. I am privileged to be related–by marriage–to one of those veterans, Walter Halloran. He is my daughter-in-law’s grandfather. He was featured in the June issue of “Minnesota Monthly.” Walter entered the Army after the attack on Pearl Harbor, at the age of 19. He had some experience as a commercial photographer, so he was put to work as a combat photographer. (One of the interviewers for becoming a combat photographer was a young Ronald Reagan). That was how he found himself as one of about 160,000 troops on the beach at Normandy on D-Day. His camera, an unwieldy Bell and Howell Eyemo, was wrapped in plastic. It had only one lens, a fixed-focus. The crossing on the boat was miserable, cold and wet, with no place to sit and soldiers vomiting from seasickness. Some of the exposed film was to be picked up by boat or plane, but some of it had to actually be sent by carrier pigeon. 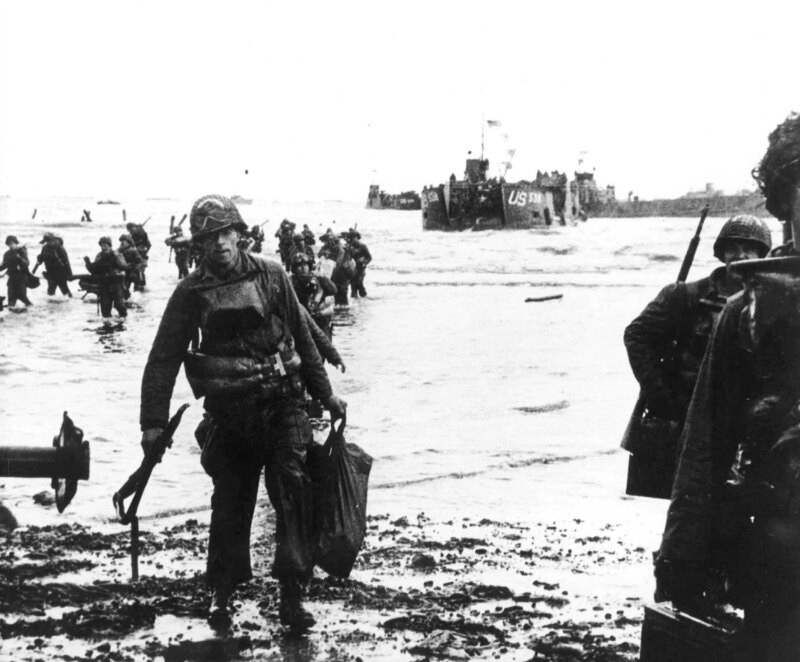 When his landing craft hit the beach, Walter found himself in deep water. One of the two pigeons in a cage strapped to his back drowned. He scrambled onto the beach and immediately flopped onto his belly facing the sea. His mission was to photograph soldiers as they landed. He downplays the danger, but as a soldier lying still, he was a prime target for enemy guns. He and other combat photographers just sent off their film without having a chance to look at the images, so he was never sure exactly what he had captured on film. Walter went on to fight and photograph all through the rest of the war. He was awarded the Silver Star for saving the life of a major by carrying him to an aid station under fire and insisting on immediate treatment. Another day, armed with a pistol, he singlehandedly pursued, captured and held a German soldier who turned out to have valuable information. He photographed the Battle of the Bulge and the liberation of Buchenwald. In 2007, Walter was awarded the French Legion of Honor for his service in World War II. Like many veterans I have known, Walter lives very much in the present. He is more interested in the doings of his children, grandchildren and great-grandchildren than in his own past accomplishments. He never brings up his service, but when asked about it, he exudes a quiet, modest pride in doing what he considered to be his duty. I am fortunate to know him. I am grateful to veterans like Walter, and to the many men who never came home to enjoy life with their own families. 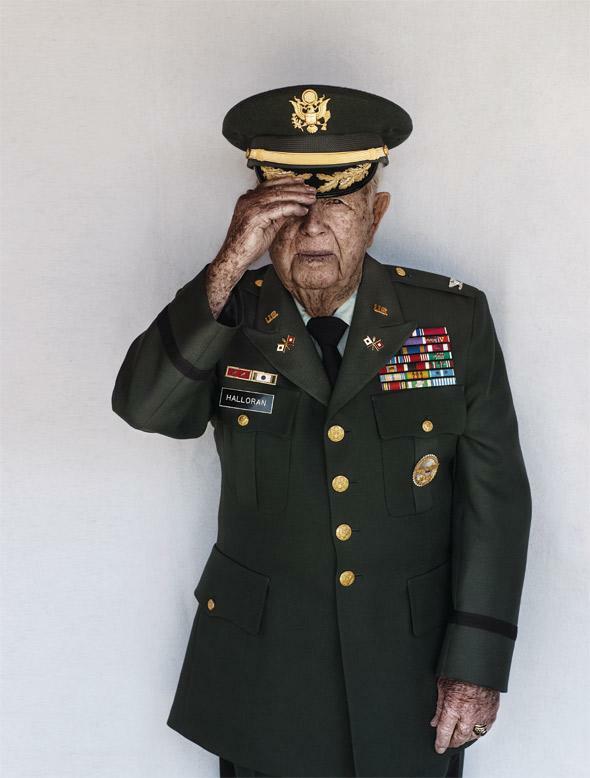 This entry was posted in France and tagged Americans awarded French Legion of Honor, Army photographers, Charlie Maguire, D-Day Landing, Walter Halloran on June 15, 2014 by Claudia Suzan Carley. Interesting to learn about life as war photographer. My dad was in the Army and although he did not have to go on the battlefields – he was an aerial photographer and has big panoramas that he took of places military bases and such that he took from airplanes. Amazing to learn about things the Greatest Generation did! I bought a beautiful plane from Walt in 1996 (that Walt had built himself)…I had no idea of any of this! He was very nice and unassuming. Walt is still nice and unassuming! A true American hero who figures he was just doing his duty. Thanks for your comment!